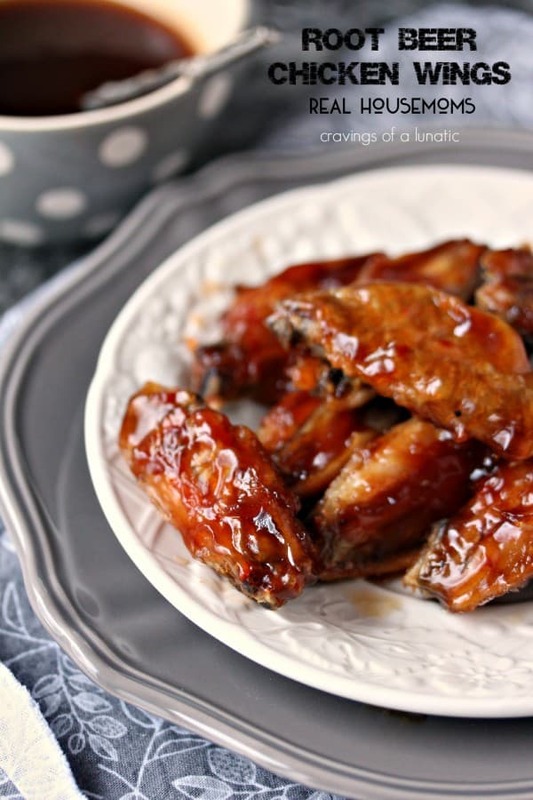 Sweet and sticky Root Beer Chicken Wings are totally easy to make and absolutely delicious! If you’re like me you love football food. Any recipe that can be called “tailgate” is right up my alley. However, this gal hates football. I’m not a big sports girl. Horseback riding is a big yes, everything else, not so much. With the Super Bowl having just passed us by I happened to be whipping up a ton of wings. I didn’t watch the Super Bowl, but I did make a ton of Super Bowl Food. We love chicken wings. I make spicy grilled chicken wings as often as possible. 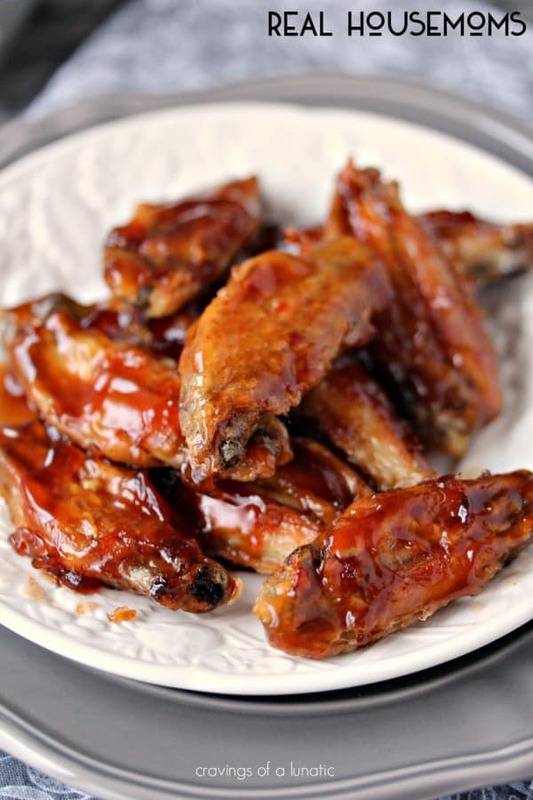 We love slow cooker chicken wings too. I actually leave the tips on those for extra flavour as they cook all day. There is just something about eating chicken wings that makes everyone happy. Set a big bowl of them on any table and your guests will grin from ear to saucy ear. You can make them so many ways. Some folks par-boil them first, there is also a technique where you steam them before cooking. Some folks fry them, some bake them in the oven and some grill them. I mix it up as much as I can. Sometimes I will grill them so we get that nice char on them. Other times I’ll slow cook them then crisp the skin up in the oven, or on the grill. So many options, which is a good thing in life. For me I love adding soda to the sauces. It gives it that hit of sweet I love, plus the sugar caramelizes the skin beautifully. It’s just a trick I picked up over the years. I add pop to everything from pulled pork to wings. It’s how I roll. Before you scoff at this, and seriously who scoffs any more, try it for yourself. They are super simple to make, and your family and friends will love you for making them. They may not share thing wings with you, but they will love you. Spray a rimmed cookie sheet with non-stick spray. Place the wings in a large mixing bowl. Add the salt and white pepper, toss to coat the wings evenly. Place the wings in rows on the cookie sheet, leaving a little space between each wing. Place the cookie sheet in the preheated 450 degree oven, and bake for 20 minutes. Flip them over and cook for about 10 minutes more. While they cook combine the root beer, brown sugar, smoked paprika, chipotle powder in a small saucepan. When you drop the sugar into the root beer it will fizz up, it's okay, totally normal. Bring to a boil over medium-high heat, whisking as you go along. Once it boils, add the cornstarch slurry. If you are not sure how to make a cornstarch slurry it's actually really easy and will prevent lumps. All you have to do is grab a small mason jar with a lid, then add just a little bit of the hot root beer sauce to the jar, about 1/2 cup. Then add the cornstarch to the jar, pop the lid on, secure the lid, then shake the jar. You now have a slurry. Add the slurry back into the saucepan, and whisk to keep it moving so it becomes smooth and starts to thicken. Once it thickens you remove from the heat. At this time take the wings out of the oven, transfer to a mixing bowl (keep your pan out, the wings are going back in the oven to caramelize) and pour about half the liquid into the bowl. Set the other half aside for dipping wings into, if you dig that kind of thing. Now toss the chicken wings in the sauce to coat evenly. Pour them back onto the cookie sheet and spread them out evenly. Place the cookie sheet back in the oven and cook for about 8 to 12 minutes, depending on how crispy you like your wings. I like to cook mine for about 5 or 6 minutes then flip them and crisp the other side. Remove from oven. Pour the remaining sauce into bowls or mason jars for dunking. Serve with a big old saucy, messy smile! Mix up a batch today. You won’t be sorry. We ate our weight in wings this past weekend. It was epic. If you are a bit of a wuss with spices feel free to leave out the smoked paprika and chipotle powder. It’s still awesome without the heat. If you like more heat you can hit it with hot sauce. Swing by my blog Cravings of a Lunatic for more recipes like this one. I also have a grilling site called Kiss My Smoke. If you dig tailgate recipes, and who doesn’t, that blog will rock your world! I'm a Pinterest addict, mom to 2 hooligans, pet wrangler, grill-aholic, and serious pistachio muncher! If I'm not in the kitchen I'm organizing my closets or lining up hundreds of perfectly labeled mason jars in alphabetical order. I also have an unhealthy addiction to The Walking Dead. Send help immediately, I hear Daryl is free. 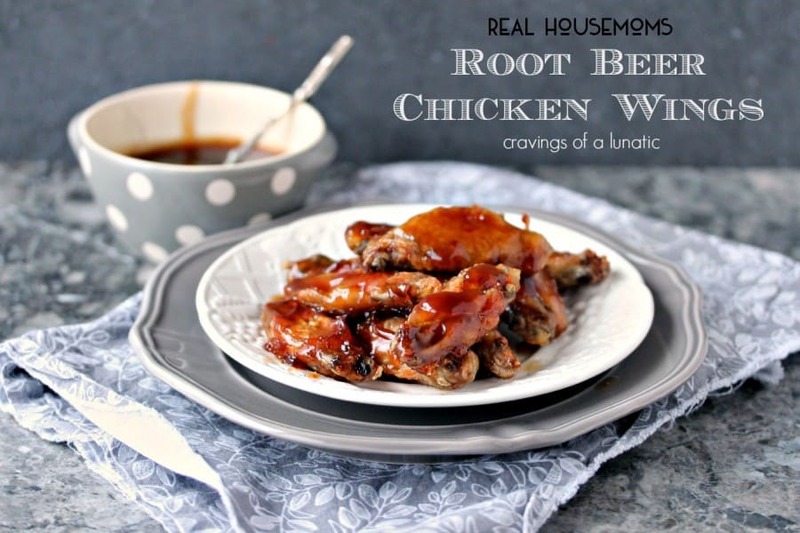 Super excited to try this recipe out going to make for dinner tonight except on chicken legs not wings. I love soda when cooking well when not cooking as well. Try Coca Cola next time you caramelize your onions thank me later ?